The following was posted by Military Sealift Command and is available online. The USNS Maury is operated for MSC by Ocean Ships, Inc. and is manned in all licensed positions by AMO. 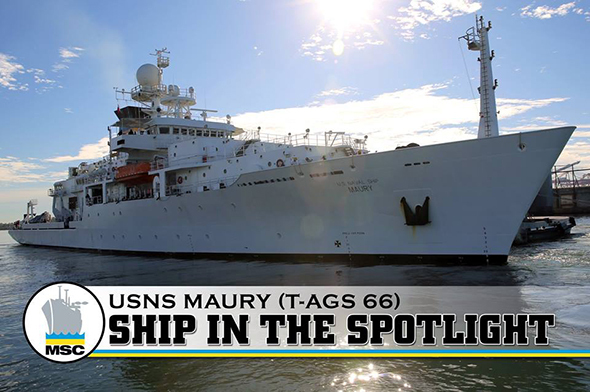 SHIP IN THE SPOTLIGHT: This week help us recognize our oceanographic survey ship, USNS Maury! USNS Maury (T-AGS 66) recently responded to a call from the U.S. Coast Guard to render assistance to a civilian catamaran that was unable to continue on its own power in the Atlantic Ocean. The crew aboard USNS Maury sent an engineering team to provide assistance and were able to successfully repair the distressed vessel.